As from a very young age, Brigitte de Lange (1959) dedicated herself to her first great love: writing. Now she has accumulated almost forty years of experience as a journalist, writer, and communication expert. The big, wondrous world outside of her native the Netherlands fascinated her ever since she was a child. Thus, in 1996, she quit her job as manager Internal Communication at Akzo Nobel and went abroad together with her second great love. Their first stop was Costa Rica, tropical paradise in Central America. Next in view was neighbouring country Panama with its well-known Panama Canal. Argentina became their following stop, in particular rough Patagonia, that appeals so much to the imagination. A move to Chile implied a huge change. From the vast desolate plains to a city of millions, Santiago de Chile. Their newest post is in Ecuador, well-known for its magical Galapagos isles, but also home to part of the Andes mountain range and part of the Amazonian jungles. On all these locations, Brigitte has been working as a freelance correspondent for Dutch media. When Brigitte took time off to complete her Bachelor of Science studies psychology she got to know her third great love: the brain. She became very fascinated and totally absorbed by this topic. Early 2011, she was awarded the title Master of Science in Neural and Brain Science. Her graduation paper is titled ‘Ageing well: how to mould fate’ and contains her research on the influence of ageing on the brain. 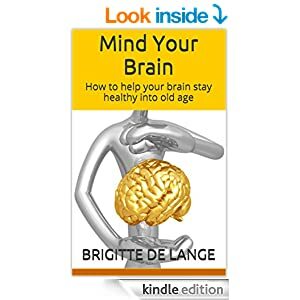 Currently, Brigitte is working as an advisor brain-conscious lifestyle and is continuing her research into the ageing brain and how to keep it healthy. 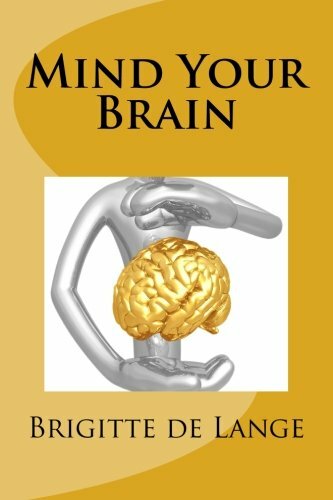 Because she thinks it very important to bring the results of her research under the attention of a large audience, she combined her writer skills and her knowledge of the brain to write a book about the brain and what everybody can do to keep it healthy into old age, titled Mind Your Brain – how to help your brain stay healthy into old age, ISBN 9789090287393. Through this book and this website, Brigitte hopes to make a valuable contribution to the fight against dementia. Whatever age you have, you will still benefit from a brain-conscious lifestyle. It is never too late to Mind Your Brain.